The story of molecular biologist Elizabeth Blackburn and her groundbreaking research on telomeres and what it reveals about the resourceful opportunism that characterizes the best scientific thinking. Molecular biologist Elizabeth Blackburn--one of Time magazine's 100 "Most Influential People in the World" in 2007--made headlines in 2004 when she was dismissed from the President's Council on Bioethics after objecting to the council's call for a moratorium on stem cell research and protesting the suppression of relevant scientific evidence in its final report. But it is Blackburn's groundbreaking work on telomeric DNA, which launched the field of telomere research, that will have the more profound and long-lasting effect on science and society. 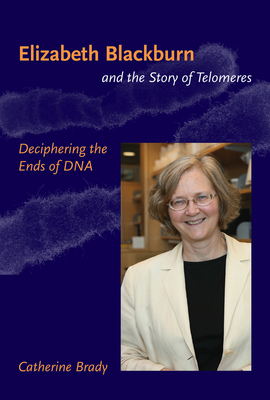 In this compelling biography, Catherine Brady tells the story of Elizabeth Blackburn's life and work and the emergence of a new field of scientific research on the specialized ends of chromosomes and the enzyme, telomerase, that extends them. In the early stages of telomere research, telomerase, heralded as a potential cure for cancer and diseases related to aging, attracted the voracious interest of biotech companies. The surrounding hype succeeded in confusing the role of telemorase in extending the life of a cell with a mechanism that might extend the lifespan of an entire organism. In Brady's hands, Blackburn's story reveals much about the tension between pure and applied science, the politicking that makes research science such a competitive field, and the resourceful opportunism that characterizes the best scientific thinking. Brady describes the science accessibly and compellingly. She explores Blackburn's struggle to break down barriers in an elite, male-dominated profession, her role as a mentor to other women scientists (many of whom have made their mark in telomere research), and the collaborative nature of scientific work. This book gives us a vivid portrait of an exceptional woman and a new understanding of the combination of curiosity, imaginative speculation, and aesthetic delight that powers scientific discovery. Catherine Brady is Assistant Professor in the MFA in Writing Program at the University of San Francisco. She is the author of two collections of short stories, The End of the Class War and Curled in the Bed of Love (a winner of the 2002 Flannery O'Connor Award for Short Fiction).